A candidate must also not hold any criminal record. If found guilty, their candidature is likely to get cancelled. The minimum educational qualification of the candidate must be that of a graduate from a designated University. WHY SHOULD ONE TAKE THE BANK PO EXAM? Every year all the government as well as the private banks conduct Bank PO exams to recruit young officers. The major banks participating in this process are State Bank of India, HDFC, ICICI, Allahabad Bank, Bank of Baroda, Bank of Maharashtra, Punjab National bank, Cooperative Bank, Syndicate Bank and so on. The main exam among them is the SBI PO exam and the IBPS PO exam. Both of them have a large number of vacancies and eagerly look for young officers. The most important point to keep in mind is that every bank has their own selection criteria and their own set of papers. IBPS Conducts a common written exam for hiring of Probationary Officers (PO) in different public sector banks (PSU) and State Bank of India conduct a separate exam for hiring of Probationary Officers (PO). WHAT IS BANK PO/CLERK EXAM PATTERN? Each banks which conducts the PO and Clerk exams for providing the relevant post to the candidate having their own examination pattern and criteria of selection. 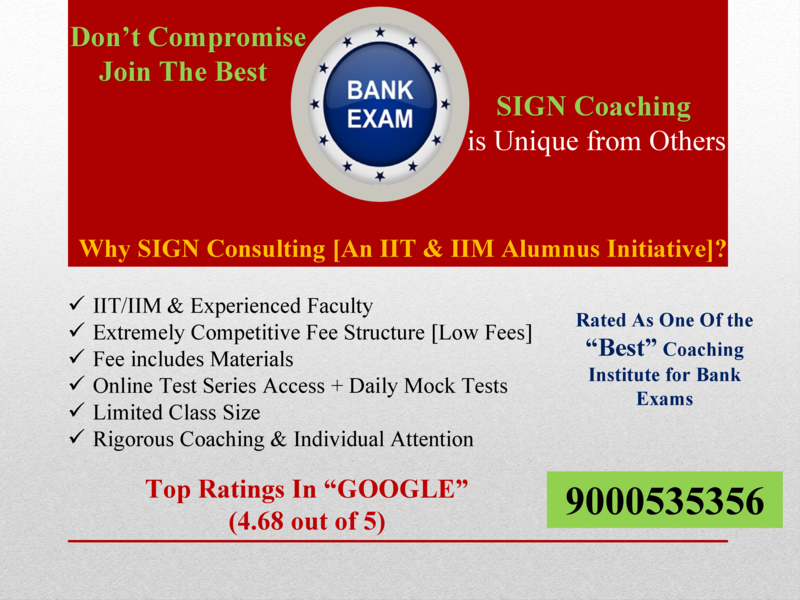 The aspirant of Bank jobs appearing the exam must know about the Exam pattern almost to attempt it well. The candidate can get an idea by doing this. The eligible candidate for the relevant job must see the below examination pattern of the exam and keep it in mind to perform well. The following pattern is the Common Written Exam (CWE) pattern that is excepted by almost all the banks in India. Almost the whole Exam pattern is such designed that a person has to attempt the entire question within 2 hours i.e. the individual get about 120 minutes to attempt it. The total marks for entire test is 200. In this section you will get all the reasoning type questions and for this you will get 50 questions to attempt it. This is a good scoring for the student of non-math as it contains non-math questioning. This section includes all the English Grammar, Reading Comprehensive, Vocabulary, Sentence Correction, Antonyms & Synonyms, Idioms & Phrases, Analogy, Parajumbles etc. Some of the Banks can replace this section with the Hindi Language plus English language according to their own pattern. The section is of 40 marks to attempt. This section includes: Decimal fractions, simplifications, Averages, Simple interest, Percentages, Profit and loss, Number series, Data sufficiency and etc. The section also of 50 marks and one mark each. This section is related to the general awareness with particular reference to the Banking industry. The section is also of 40 marks, one mark each to every question. It is related to the basic information of the computer field and related to it. This section also contains 20 marks and one mark to each question. *Note: Some of the banks may not stick to this pattern or may have changed in some subject, but this pattern is followed by most of the banks in India.